The sport of Athletics has a mission to strengthen the depth for every event, in every age group across every nation and region of the UK. As the nation's most successful Olympic and Paralympic sport in 2012, we are now targeting success in the World Championships in 2019. 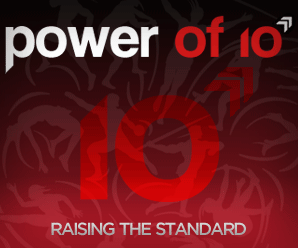 The Power of 10 illustrates the challenge and is in place to motivate competitors, coaches and clubs.